Resisting in the food industry has never been an easy journey for all of us. Isn't it? Every restaurant owner did face many ups and downs in the startup stage of their food business. Beginning right from the scratch, putting in all efforts, it demands a lot to attain a place in the food market. Eventually gaining customers and a good name in the food market brings a sigh of relief that yes, we have done it. And at this point, most of the restaurant owners feel that this is it. But you are mistaken! Despite endless efforts, if your restaurant is still failing to attain the desired outputs, then you might be wrong somewhere. Just getting sales and profits is just not done, rather you need to focus on your customers, their interest areas and a lot more. Customers demand more quality with the same budget and this might become a problem for you. So, before any delays, you need to work upon how to deliver the quality services and fit the customers budget too. Here are the best tips to meet both the needs of your restaurant and the customers. Advertise more smartly: Check out all your expenses and find the ones which are extra on the list. If you spending a good amount on the advertisement on TV, radio, then it's useless in today's date and a wastage of time and money. You can go on for social media campaigns as it is a cheap source and people already spend most of their time on Instagram, Facebook, or Snapchat. So, you can benefit from it and advertise your services on social media platforms to reach your customers. Discounts for your customers: Offering discounts to your customers has always been a good idea to attract customers. But before planning discounts, go through the past orders of your customers and give away discounts on the stuff which is ordered by most of the people. 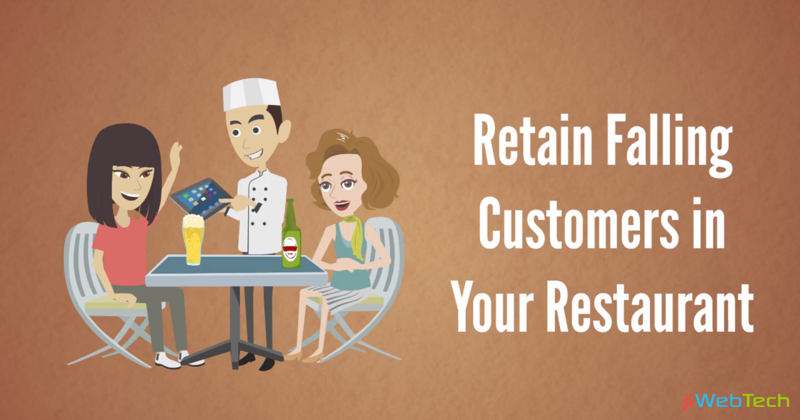 This will excite your customers to buy more and stay in your restaurant for a longer period. Moreover, you can add more items to the discounted stuff to increase the orders from your customer. Order Smartly: Have a look at your orders and try if you can reduce the extra expenses anywhere. For instance, you can get the stock for your restaurant from some local vendors instead of getting shipped from far away areas. Similarly, you can figure out more things where you can reduce the costs. Proper Training: Unmanaged serving to the customers, untrained staff can lead to angry and unsatisfied customers. Thereby resulting in falling performance and sales of your restaurant. So, it is necessary that you provide your staff with a proper training session regularly to enhance their performance and serving skills. Apart from knowing these techniques to recover the falling customers at your restaurant, you can even adopt restaurant management solutions which are easily viable these days. Implementing restaurant management solution will not only help you in enhancing the customer experience but will also streamline all the restaurant tasks. Still have any queries? Get in touch with us and we'll get back to you instantly!